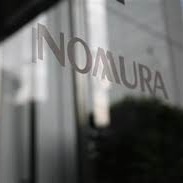 Nomura Group, a Japanese financial holdings company across multiple asset classes, has appointed former Barclays man, Leonardo Jereissati, as its new Head of Forex for the Latin American (LatAm) region. Nomura Group encompasses a variety of subsidiaries and affiliates that include broker-dealers, banks, as well as financial services across Forex, equities and virtually every other asset class. Nomura experienced a recent shakeup in its Forex division, with Leonardo Jereissati being named its new Head of Latin America, while the Head of FX Strategies, Liran Blum, is parting ways with the group. Mr. Jereissati joins Nomura, having been the Head of LatAm Markets Trading at Barclays since 2008. Prior to this, he held the role of Senior Vice President at Lehman Brothers, as well as a stint in Forex management in HSBC USA. Meanwhile, senior FX Trader and Head of Nomura’s Principal Strategies, Liran Blum, has left the bank after a period of nearly four years. He specialized in trading in the Americas, while also garnering prior experience at Lehman Brothers.